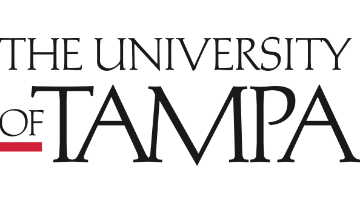 The Department of Biology in the College of Natural and Health Sciences at The University of Tampa invites applications for three (3) full-time, renewable, non-tenure track, instructional faculty positions beginning in August 2019. Instructional Faculty (Professor of Instruction) position 1 and 2: These two positions will have primary teaching responsibilities in Introductory Biology for science majors (e.g., General Biology I and II lecture and lab), and non-science major lecture courses as assigned by the department chair. Instructional Faculty (Professor of Instruction) position 3: This position will have primary teaching responsibilities in non-science major lecture courses such as Environmental Science, Marine Biology, and Biological Science. The positions are primarily for teaching within the Biology Department along with University and Departmental service responsibilities. Each candidate will be expected to teach 27 contact hours throughout the Fall and Spring semesters. Priority will be given to candidates that can occasionally teach upper level courses as needed. PhD preferred (strong ABD candidates considered) and prior teaching experience with undergraduates is desirable. A personal commitment to quality undergraduate teaching, advising, and service to the Department and University is essential. Review of applications will begin February 1st and continue until the position is filled.